Working directly with the CUNY Graduate Center Library, our team of four conducted extensive user research and testing of the library website’s information architecture in order to design and develop a responsive high-fidelity prototype of their site. 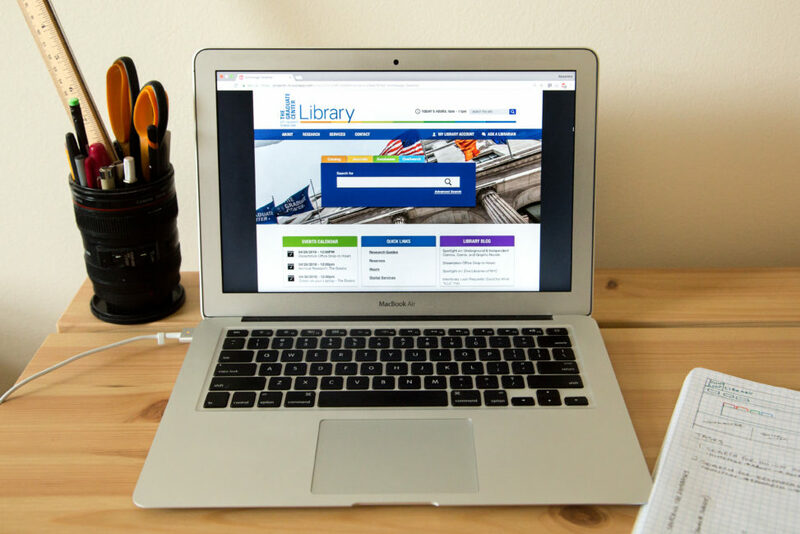 Our goal for the redesign was to improve the findability and understandability of the library’s valuable information resources, and to present them in a manner that would provide a seamless and enjoyable user experience. With empathy at the forefront of our approach, we sought to understand the motivations and pain points of the website’s users, looking for patterns in the way they respond to the site’s organization and presentation of content. By employing a user-centered design process we strived to build a prototype that would make the finding and managing of information more successful and meaningful. Our design is based directly off of feedback from the CUNY Graduate Center Library patrons. I am an IxD student currently finishing up the first semester at Pratt. I am interested in understanding people, and how technology can make people's experience better.